Vikings Rugby are thrilled to announce the launch of it’s Women’s Rugby Academy Program (WRAP) in 2018. The WRAP aims to provide a pathway for girls and women to develop within our elite Rugby environment. After the success of our 2018 undefeated ViQueens and the opportunities afforded to several of our players selected for Super W duties, Vikings Rugby identified the WRAP as an important strategic objective heading into 2019. Vikings Rugby are dedicated to providing our players with the best opportunity to succeed and excel in Rugby, as demonstrated through our Men’s V-Rugby Academy over the last 6 years. The WRAP will provide these same opportunities to current and future ViQueens – Women’s Rugby across the Country has progressed significantly since the success of the Australian Women’s 7s and the introduction of the Super W Series. 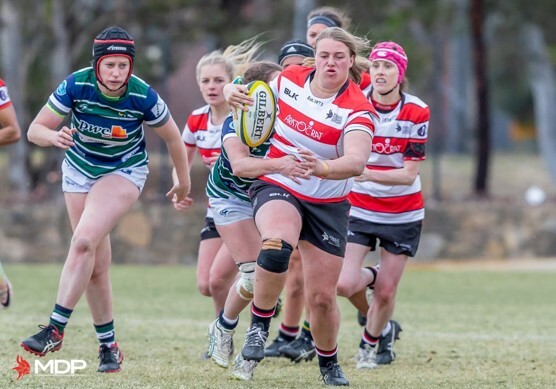 We anticipate that the WRAP will increase the standard of Women’s Rugby in the ACT and assist in our player’s own personal aspirations for Rugby, as well as create a more tangible pathway to selection in representative teams. The WRAP will run for 6 weeks pre-Christmas and will include gym sessions, conditioning, speed/sprint technique and on-field skills sessions with our elite coaches. Education sessions will also be held for the participants on various topics that are Rugby and non-Rugby related. The WRAP will be launched on the 31st of October with the first session kicking off on Wednesday the 7th of November.